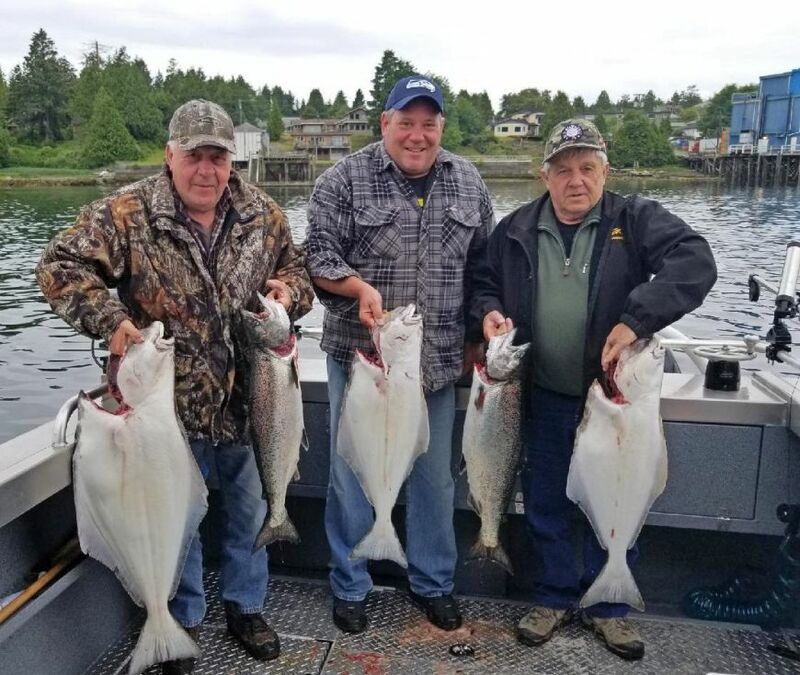 Fishing has continued to impress us. 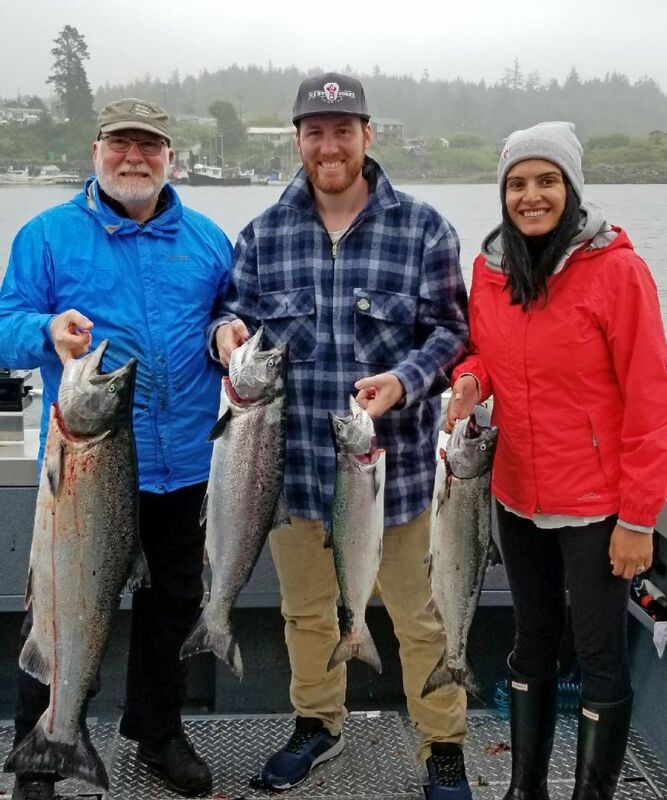 We haven't seen consistent numbers of Chinook salmon like this in a few years and its great to see so many bent rods and smiling faces. 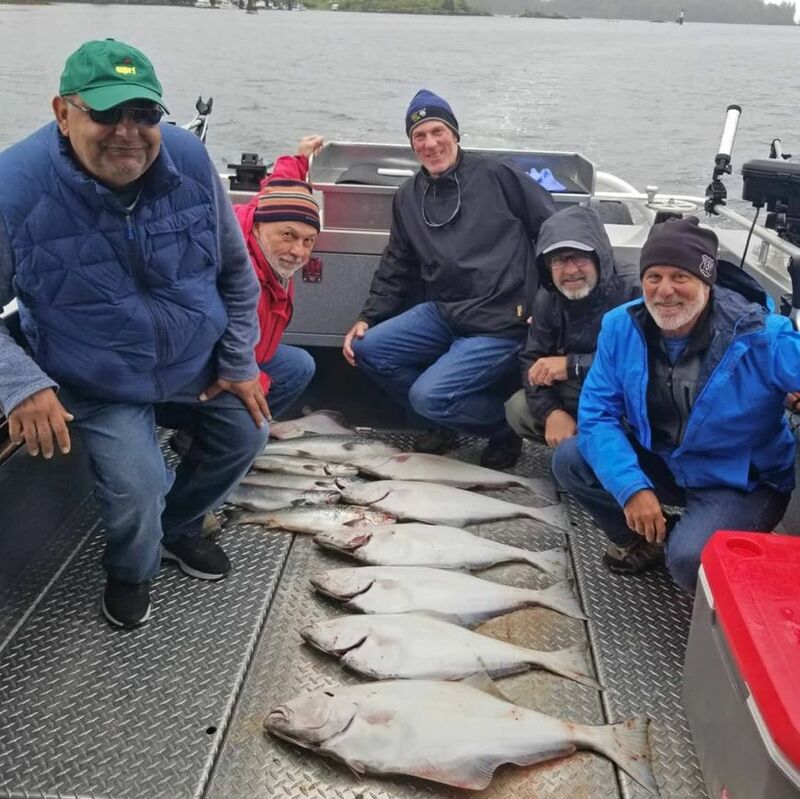 Halibut fishing has also been good offshore and limits have been coming pretty quickly. 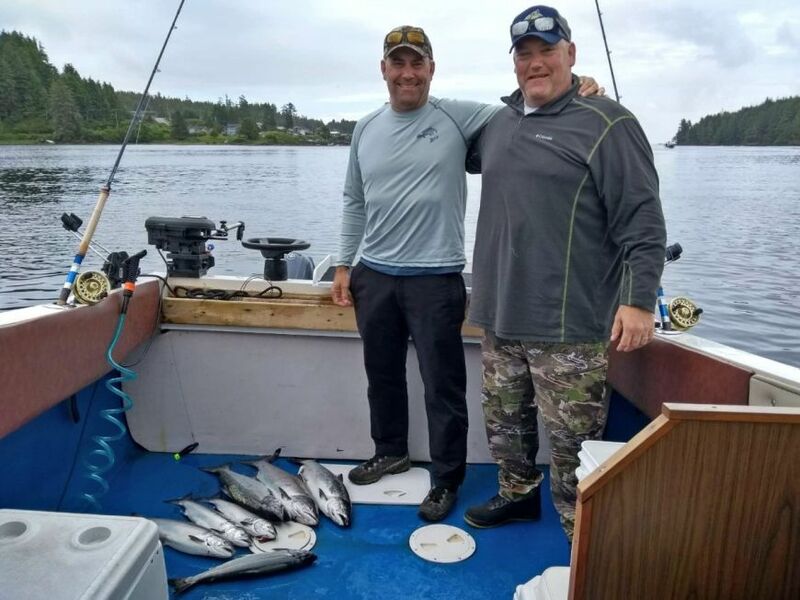 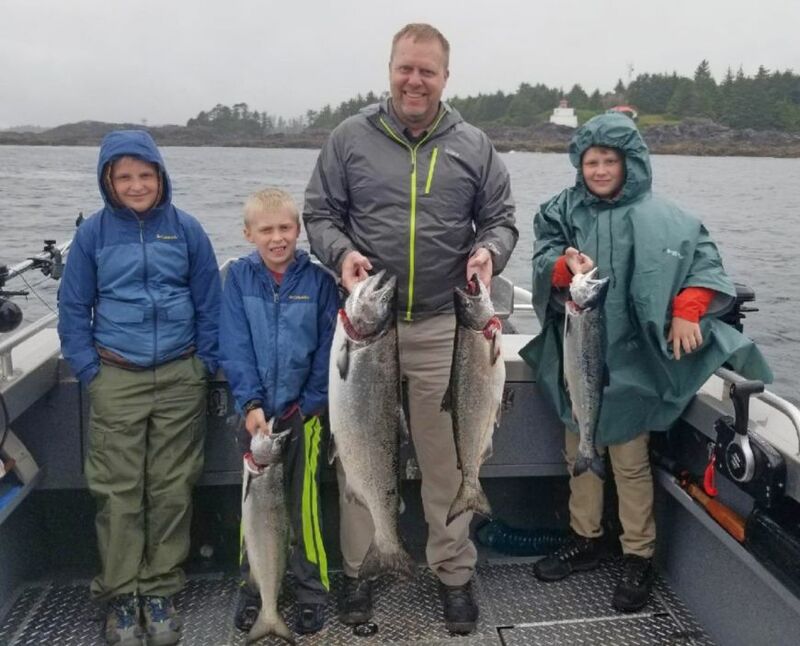 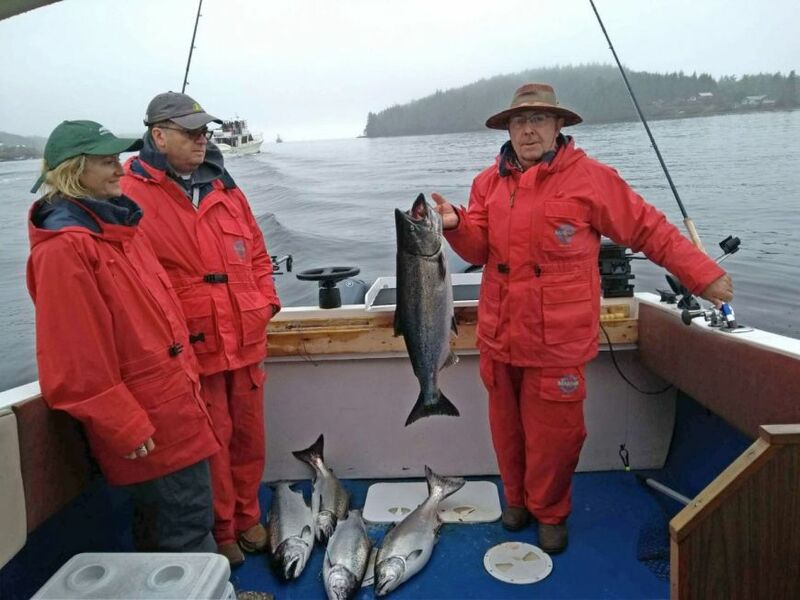 The salmon seem to be staying mostly in close to shore and the halibut running 20 miles offshore, so it means we aren't getting limits of both in a day that often. 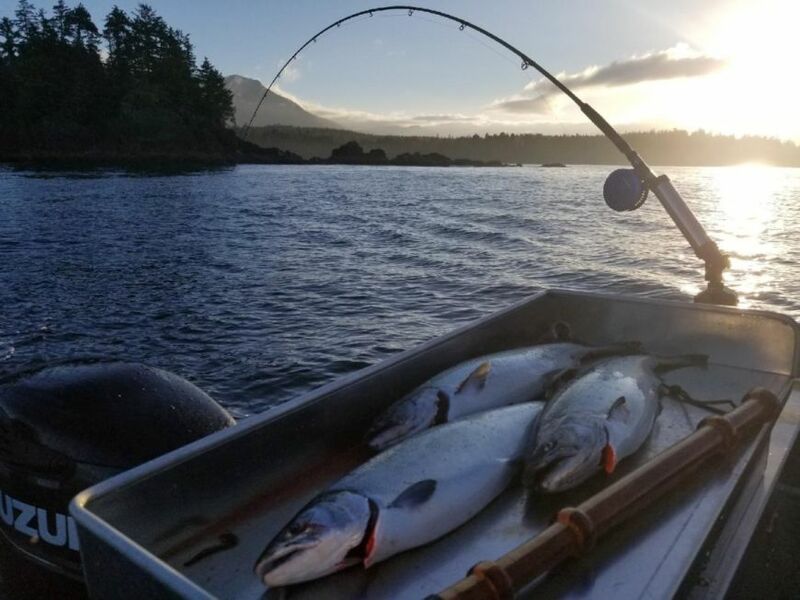 There have been some days where limits of both salmon and halibut were caught at Big Bank, but so far most of the Chinook are on the beach. 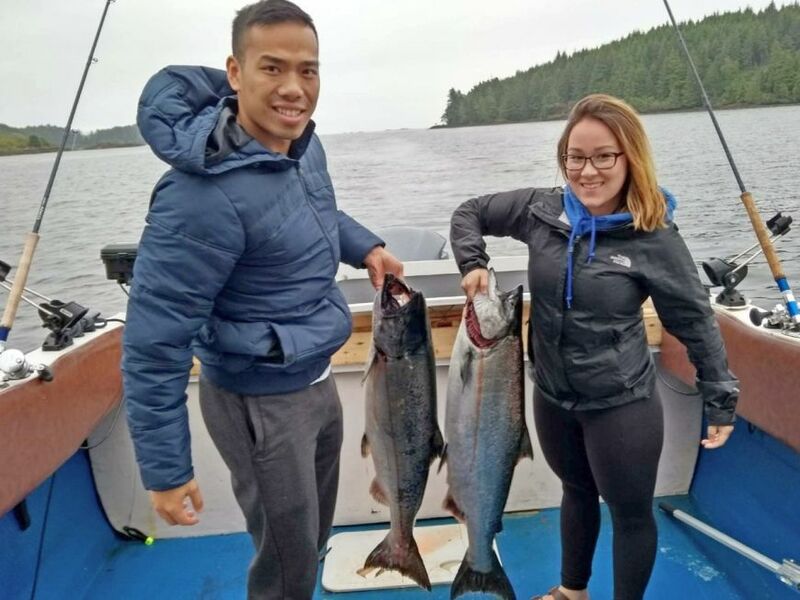 The good news is that we are just starting to see some larger Chinook role through and we have been hitting more over 20lbs in the last few days. 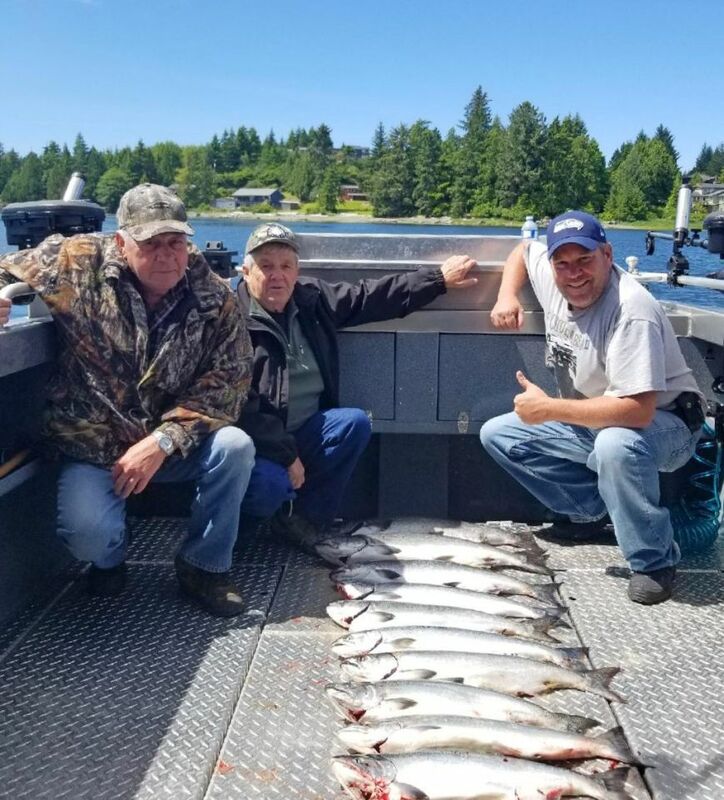 Pictured below are pics of the last 10 days!